In 1955, Wayne and Virginia Snowden purchased a ranch along a ridge in the eastern foothills of the Napa Valley. In addition to the stunning views of St. Helena, Rutherford and the San Francisco Bay, the property came with seven acres of grapes and six acres of prunes, walnuts, plums and peaches. In 1962, realizing the future of Napa was probably in wine rather than fruits and nuts, the Snowdens planted Cabernet Sauvignon from cuttings off of Nathan Fay's vineyard in the Stags Leap District. As happens with many new vineyards set in arid sites, the vines struggled to survive. To keep the young plants alive, the couple carried small amounts of water up the hill in garbage cans tied into the back seat of a '52 Oldsmobile two-door convertible. Scott and Randy Snowden (Wayne and Virginia's sons) assumed responsibility for the property in 1981 and not long after developed the 11-acre "Brothers Vineyard" site. For the next decade the Snowdens sold their grapes to Stag's Leap Wine Cellars. During that period, they worked to fine-tune the trellising and farming of their vineyard with the help of Warren Winiarski, owner of Stag's Leap, and his viticultural consultant, Danny Schuester. In January of 2005 Diana Snowden, along with consulting winemaker Dave Ramey, assumed winemaking duties. In addition to her work at Snowden, Diana is also the enologist for Domaine Dujac in Burgundy. 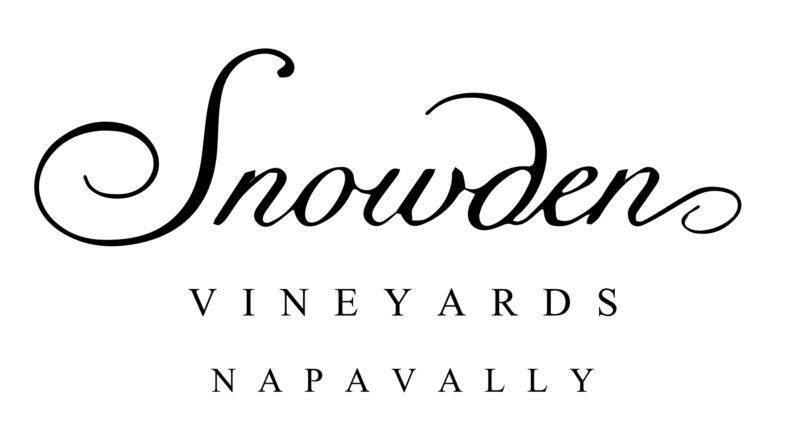 Today, Snowden produces the vineyard-designated Cabernet Sauvignon "Brothers Vineyard", the Cabernet Sauvignon "The Ranch", which is an approachable and affordable blend of Bordeaux varietals, a 100% Merlot from a block called "The Lost Vineyard," and a small amount of Sauvignon Blanc – all from vineyards on the family estate.